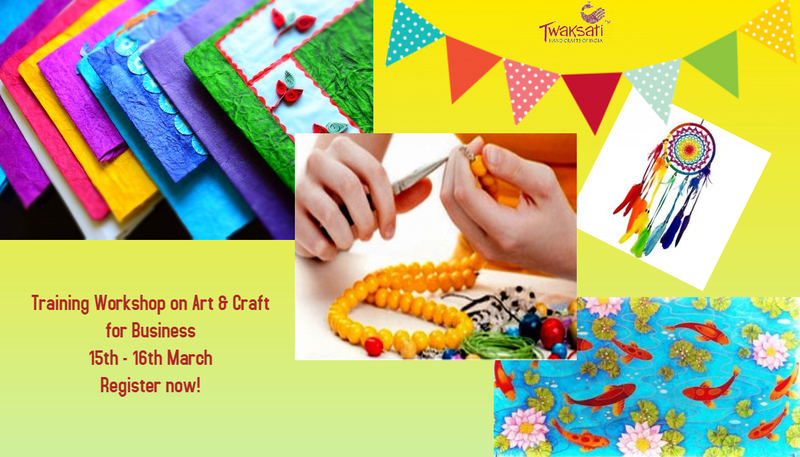 Twaksati - Handcrafts of India, believes in nurturing the artist within a Kid who would grow up to respect and appreciate the beautiful creations. 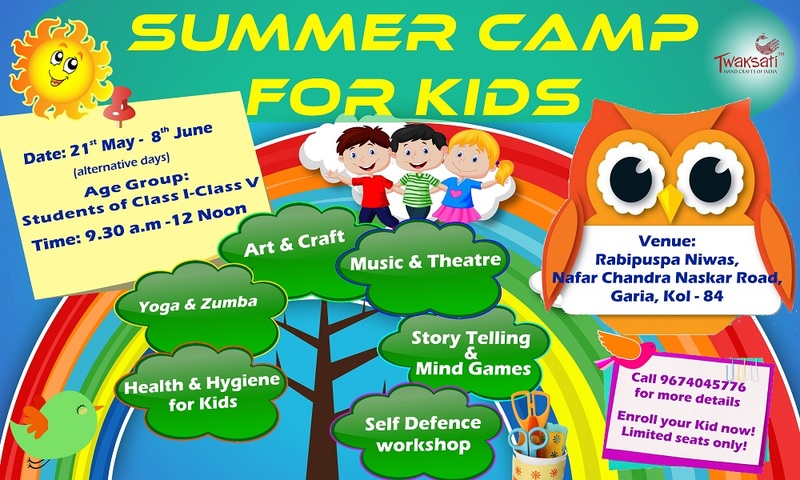 Hence, we are rolling out Summer Camp for Kids of Grade I - Grade V during this summer vacation. Our summer camp is focused at a holistic development of the student interest through exciting activities. This will take them away from the electronic gadgets during the time and inculcate something creative. We have expert teachers for each activity. We bet that your kid will be happiest during these sessions. Each student will receive a certificate of appreciation and their handmade products will be showcased in an exhibition. We have limited seats, so enroll at the earliest. 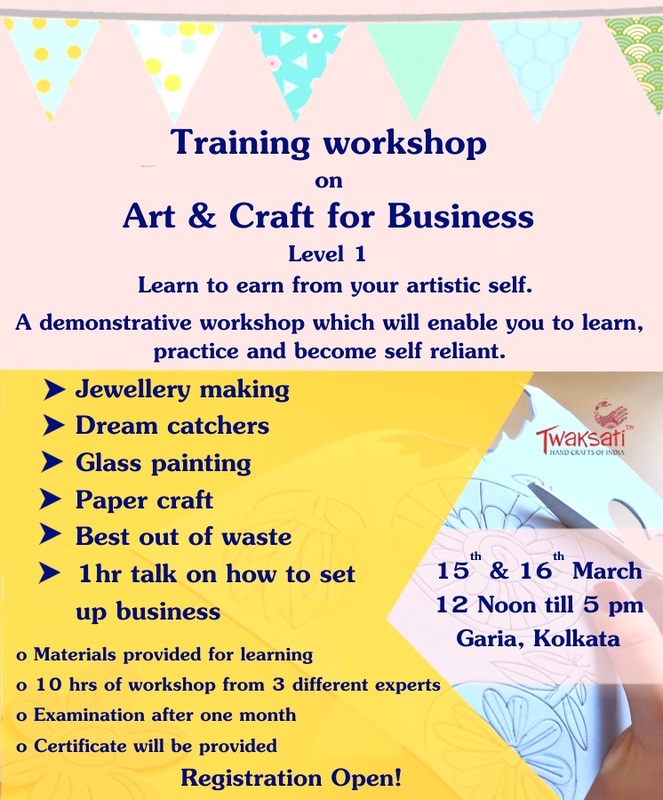 Training workshop organised by Twaksati Handcrafts of India, is an initiative to skill development for all those who have the slightest artistic flair and would like to hone their skill further to set up a small business from home. Keeping this in mind we invite all those who are thinking of doing something from home and earn at the same time. This level 1 training will provide the basics of innovative jewelry making techniques, making beautiful dream catchers, using glass painting techniques on various products, paper crafts for gift purpose and bead work for door hangings. Materials will be provided. Once you complete your 10 hour session, we would ask you to make a few of them at home and come back for an examination to check if you have done it right. Hence we handhold you till you are ready. We would also provide you a session on how to build your business through your craft. Certificates will be provided once you successfully clear your exams.The training is provided by experts on the particular art form having a good experience on the subject. Certificates will be awarded after successful completion of course. 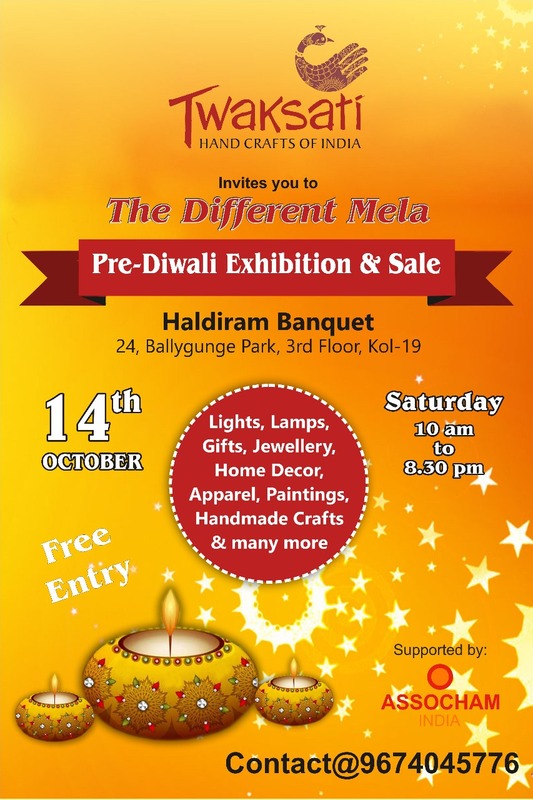 The Different Mela by Twaksati held on 14th Oct 2017 at Haldiram Ballygunge showcased the handmade and creative products by varoius entrepreneurs and artists. Most of the participants were new into the business but their zeal of exhibiting their own creation was something to see here. There were handmade Jewelries, recycled lamps, Handmade bags, Paintings, Crafts, Embroidered apparels and many more unique products exhibited. If you are an artist or an entrepreneur and would like to showcase your products in our next exhibition, then feel free to contact us! I am in Love with Me! We express our love to others whom we feel closer but not to ourselves who is the closest ! Its time to celebrate love with our own self. And believe us you will feel great when you say "I LOVE ME". So, friends just pamper yourself enough and give your self a beautiful unique Gift this Valentine's Day. If you love yourself enough say YES to our comment box or post your Pic in our facebook page www.facebook.com/Twaksati..we would showcase you in our website and facebook. 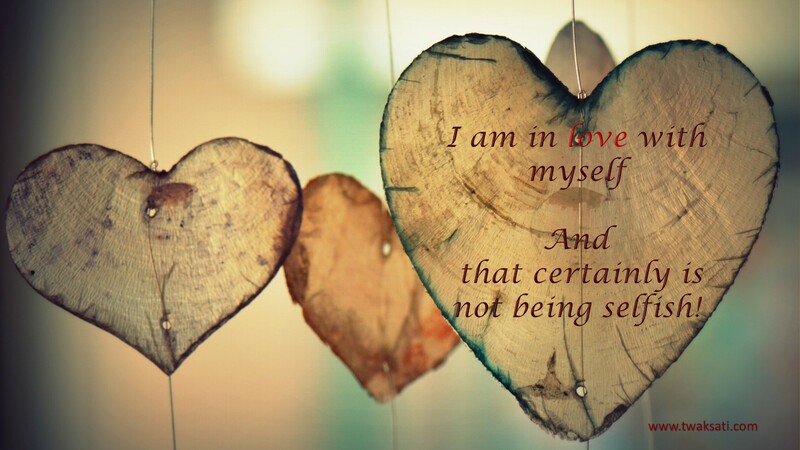 There is no age bar in loving yourself so quickly join us in the revolution of " I am in love with myself and that certainly is not being Selfish!" Visit our Twaksati Home page for something handmade and unique gift for yourself. We bet our product and packaging will make your day! Everything Handmade..